Violet is not the most diverse of eaters, so when she recently decided that she liked cantaloupe I did a big 'ol happy dance inside. 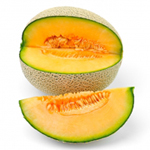 Sweet, juicy, loaded with vitamin C, and a good option to send in the lunchbox, cantaloupe is in season in Massachusetts in August so you'll likely see good prices right now. This week's Eat Seasonal feature includes 10 recipes that offer creative inspiration that goes well beyond fruit salad. 1. 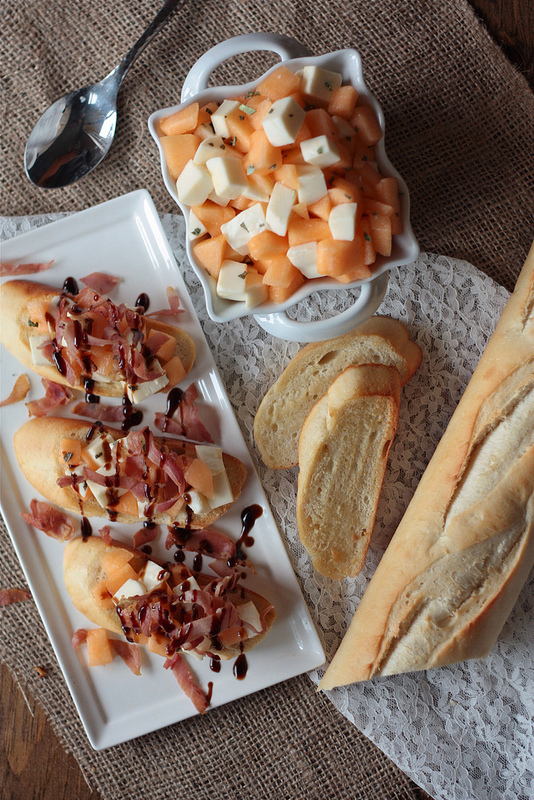 Ever a classic appetizer: prosciutto and cantaloupe skewers. 2. 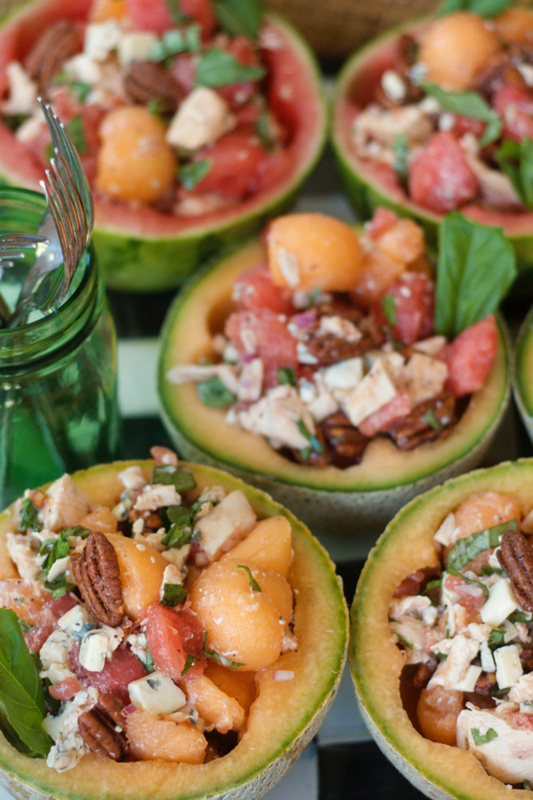 If you want a variation on #1, try these cantaloupe bruschetta. 3. 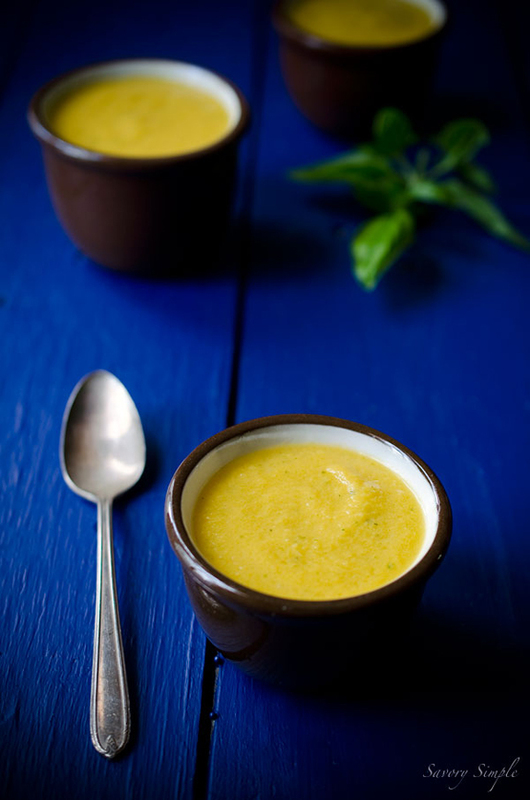 A clever new twist: cantaloupe gazpacho. 4. 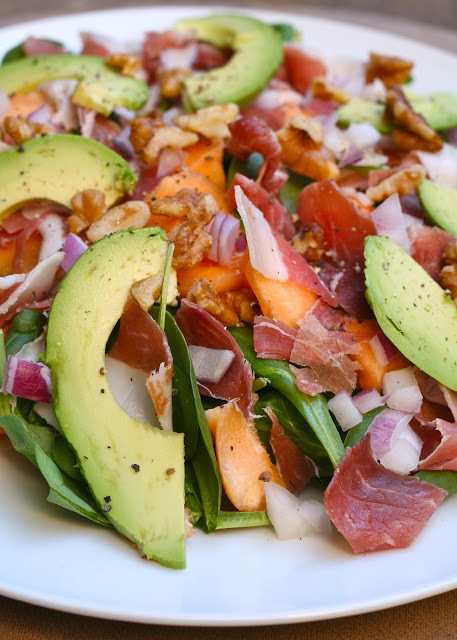 This cantaloupe salad is paleo friendly. 5. Holy YUM. 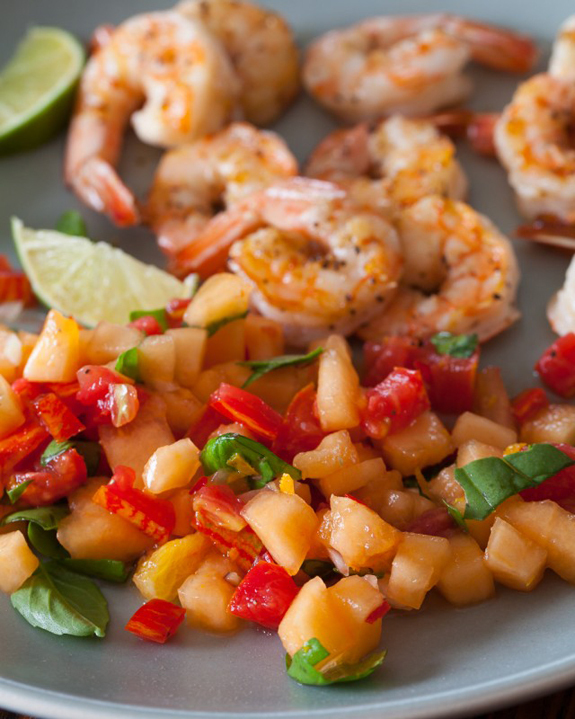 Grilled shrimp with cantaloupe-lime salsa. 7. 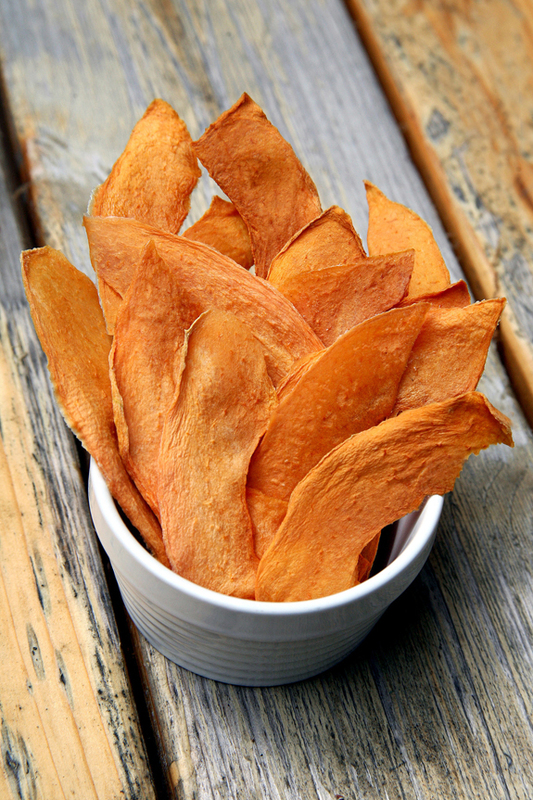 Preserve your seasonal cantaloupe by making dried cantaloupe (no food dehydrator required!). 8. 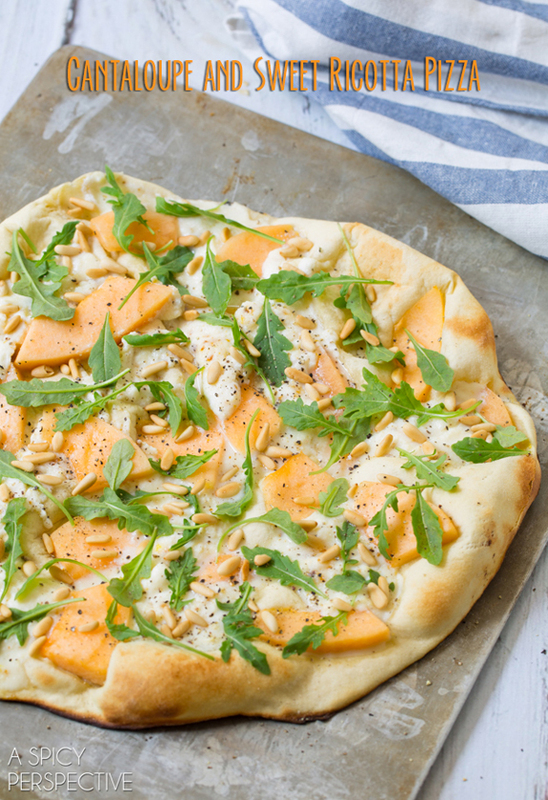 What a fun twist: cantaloupe and sweet ricotta pizza. 9. 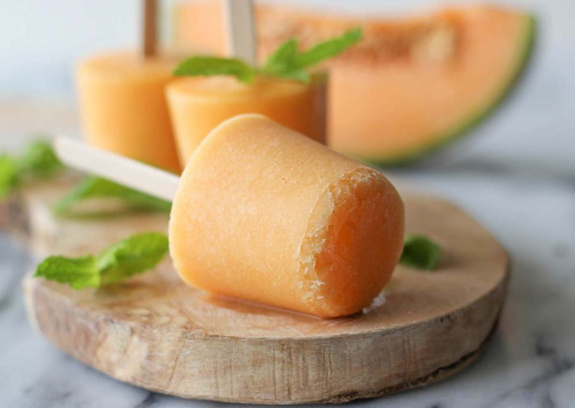 Three ingredient cantaloupe popsicles. 10. 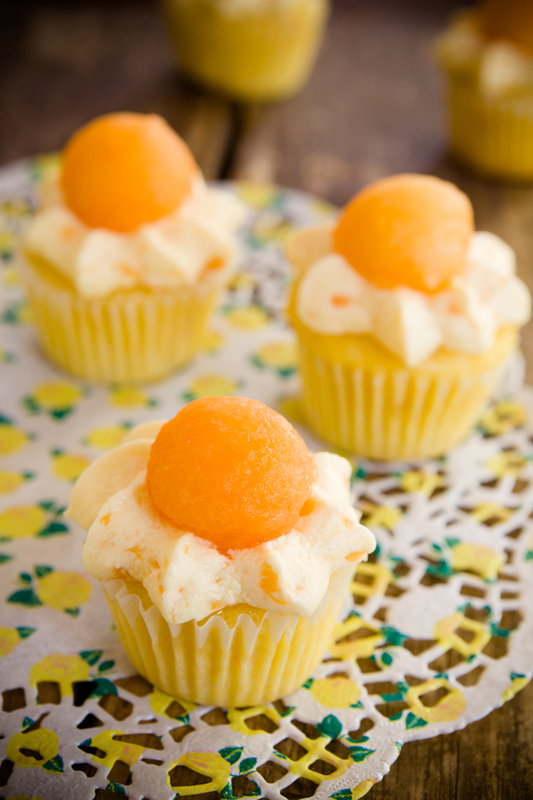 These cantaloupe cupcakes look so cheerful!